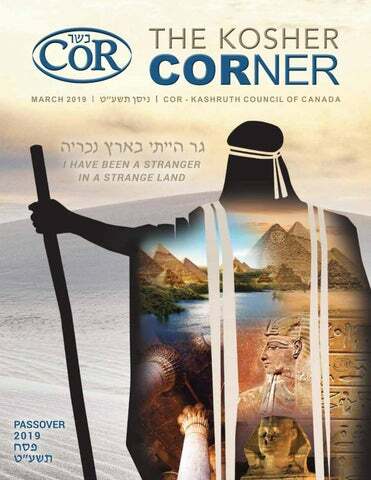 Original Diclectin® , Pregvit® & Pregvit® folic 5 prescription medications are certified kosher and Passover compliant by the Kashruth Council of Canada Duchesnay is proud to support all Canadian communities. New Dufferin & Lawrence location coming March 2019! Can ad a â&#x20AC;&#x2122;s Bes t! NEW for 2019! Always KOSHER! I was very hesitant when my children spoke to me about moving to a retirement residence. But being at Kensington Place has made me live longer! I’m with people every day. I love the food; the activities keep me busy; I’m so happy, I’m in seventh heaven. I feel I am blessed to live here! ~ Rose M.
THE WATERDALE ACRYLIC PESACH COLLECTION SEDER PLATES • MATZAH BOXES & COVERS WASHING CUPS • BENCHER SETS & MORE! Visit our retail location for the largest selection of gourmet Kosher for Passover options in the city. ALFASI Reserve Malbec/Syrah DON ALFONSO Cabernet Sauv. SEGALS Special Reserve Cabernet Sauv. Merlot/Cabernet Franc/Cabernet Sauv. BARKAN Reserve Cabernet Sauv. Cabernet Sauv. | Petite Syrah | Pinot Noir BEN AMI Cabernet Sauv. | Chardonnay | Merlot Zmora Cabernet Sauv. 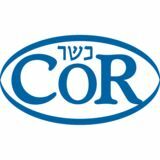 Kosher for Pesach Chocolates and Gifts! A WHOLE LOT OF GOODNESS IN EVERY BITE. THE BUNNY RABBI I have to do homework with him? But it always takes forever! Illustrated by: Yishaya Suval And what’s lo with an aleph? What does amar mean? I don’t know. Say. I said. “I don’t know.” What does it mean? To him? No. To me? No. To you? No! What part of “no” don’t you understand? I thought lo means know! What’s eini yodea? I don’t know. Then how should I know? Ok. By a show of hands, who doesn’t regret how much we ate over pesach? I can’t lift my arms. We’ve got to stop meeting like this. Especially in the kiddush room. Why do we use folding chairs again? I’m okay! I found a macaroon. Hey… Remember that time we all ran a marathon? THE BUNNY RABBI Wow. How many kittels do you have? I have to keep changing them the whole Seder. Oh my goodness! What happened to that carrot? Look how fat my hagaddah is! I have a lot of enthusiastic kids. I heard you learned how to ask it in cow. Let’s hear it. Okay. Moo… Good so far… Nishtana. Oh. At least you didn’t land in the marror this time.